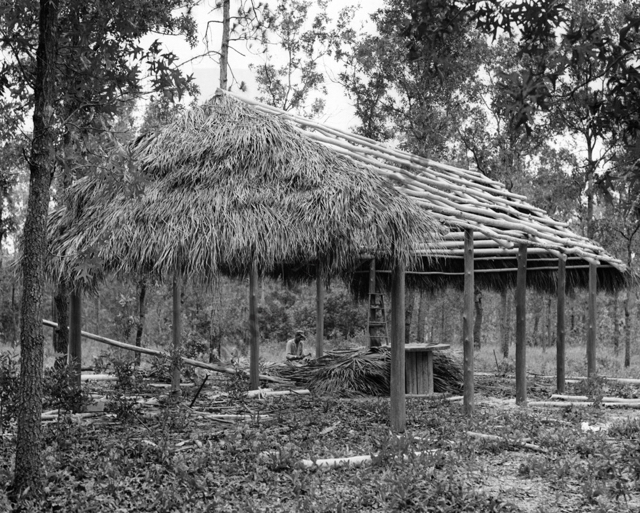 WANT the original architect's plan for an early-Florida house?.First, you cut good cypress logs from the woods near Homosassa Springs, strip them of bark and erect the house frame using a few nails and leather straps to make sure it holds together in high wind. Then individually place green palm fronds on the roof and nail them in place. That's it. It's cool and fashionable, if you're a Miccosukee Seminole Indian..Frank Cypress recently built such a chickee home for his wife and 10 children at Old Fort Dodge, a tourist attraction near Brooksville. It took him just 15 days to build and he says it should last as least 10 years with a new palm front patch now and then.